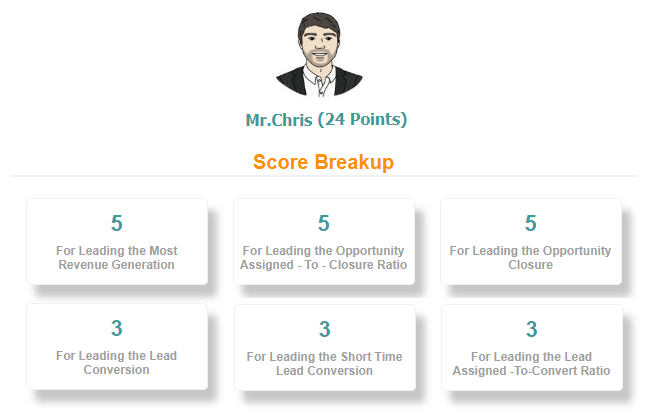 AI powered diagnostic analysis of sales team performance pin-pointing the required areas of improvement. Make sales reps to stay competitive on their under-performing areas with game mechanics. 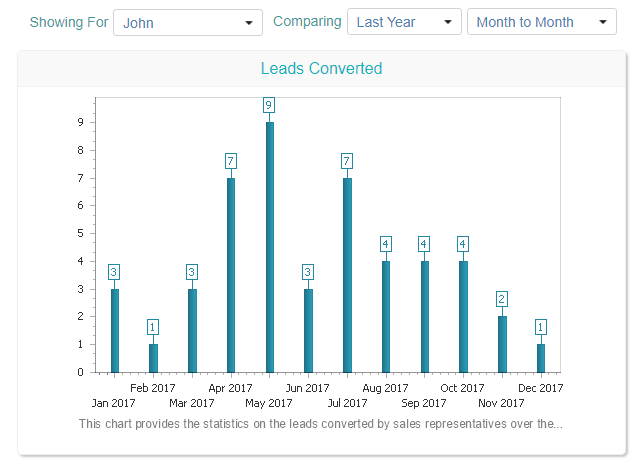 Kreato AI engine keep track of each sales rep behavior analyzing their emails, calls, meetings & pipeline and identifies the performance patterns that leads to the top performance. 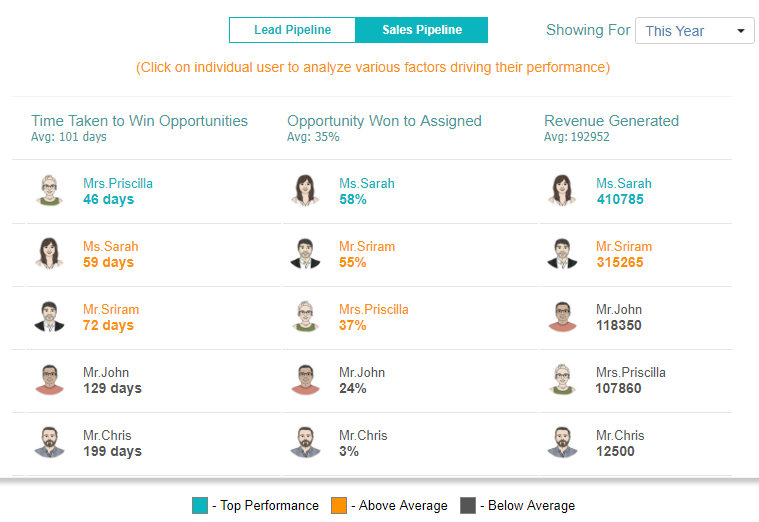 And then provides actionable performance prescriptions sourced from these patterns to the sales manager or sales reps.
With the performance prescription readily available, either sales reps can self-access their area of improvement or sales managers can coach them to reach the desired performance level. Kreato helps to fuel the team competitiveness via game mechanics. Game Scorecards are nothing but the playful way to set some performance thresholds or targets and make the team to compete for the top scores. Kreato AI engine keep track of each sales rep behavior analyzing their emails, calls, meetings & pipeline to identify the performance patterns that can be targeted for gaming. 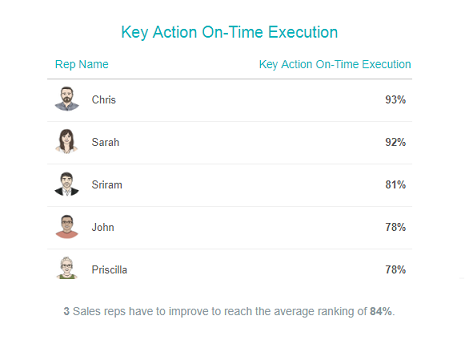 With the help of performance leaderboards and identified performance patterns, sales managers can introduce tailor made games for underperforming sales reps based on their suggested areas of improvement.